Becoming a DNS Partner involves the appointment of DNS as the backend service provider and the provisioning of all related technical services and functions on a day to day basis to ensure your Registry runs effectively and efficiently. The Partner solution constitutes a more hands on approach by DNS to ensure that the Registry Operator is in the best position to support and grow its domain name ecosystem while still maintaining control of the Registry. This solution is ideal for medium to larger domain spaces (50,000+) but can also be applied to smaller names spaces that have the potential for rapid growth. A core element of the Partner solution is the bundling of dedicated, on-going, consulting and support services to compliment the technical solution. The objective is therefore to use DNS’s market expertise to assist the RO in identifying and pursuing new business opportunities and to improve the registry’s effectiveness. The appointment of DNS as a Partner in your registry means that you get access to the entire suite of technical solutions we offer, such as EPP, OT&E, Auction systems, Rights Validation Systems and all other Value Added Products and Services. DNS will ensure that the transition from previous systems and legacy operations is seamless and supported by the experienced DNS staff throughout the entire process. 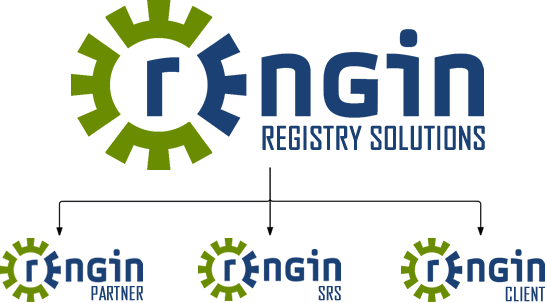 Want to know more about REngin Partner?